It’s almost that time of year again (our first year) of paying thanks to those special teachers that have thought and encouraged our children all these months. 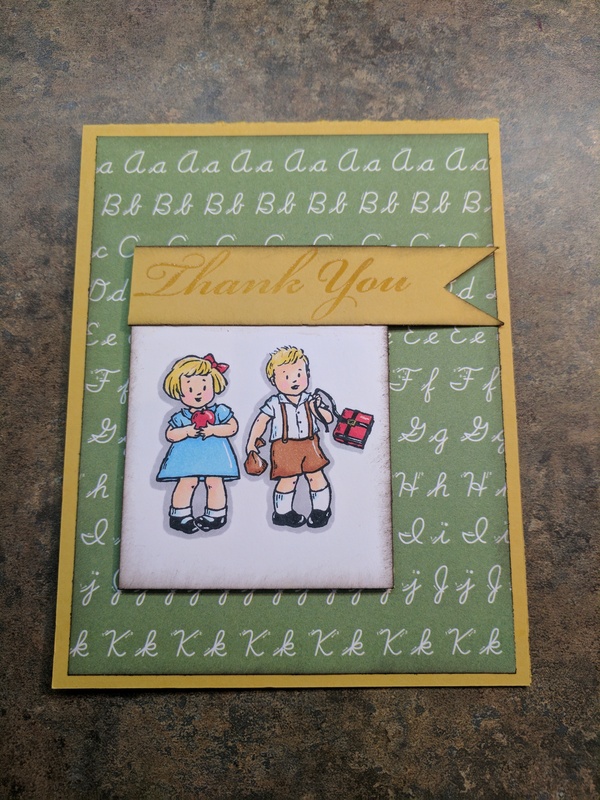 So for today’s card I’m using an old Stampin up set called Greeting card kids. 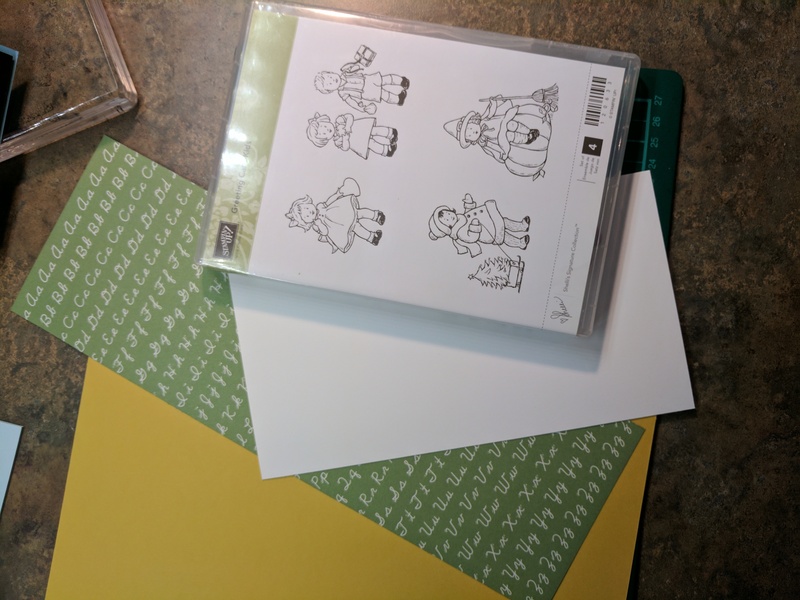 It is such a cute set! 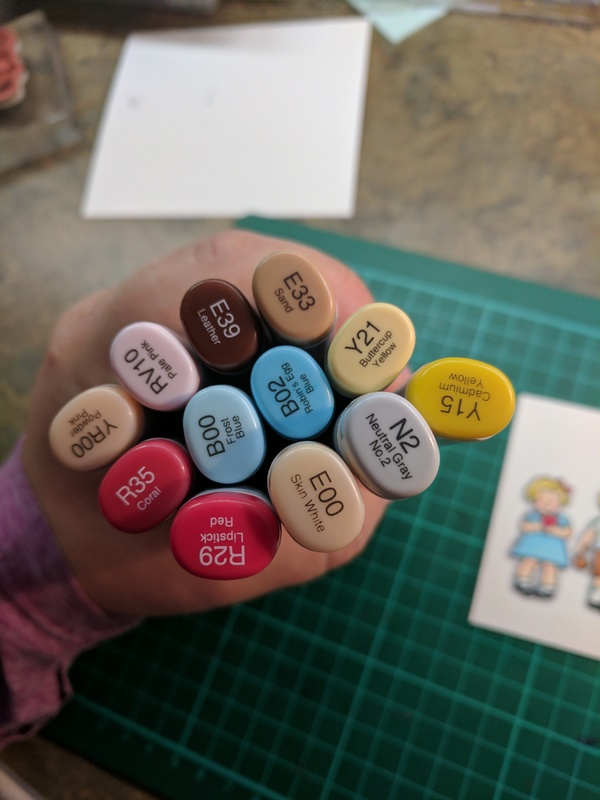 These are the Copic markers I used to simply color my project. I added a bit of white and gold gel pen and of course a dash of Wink of Stella. I trimmed down the white piece and distressed the edges with Chocolate Chip ink. 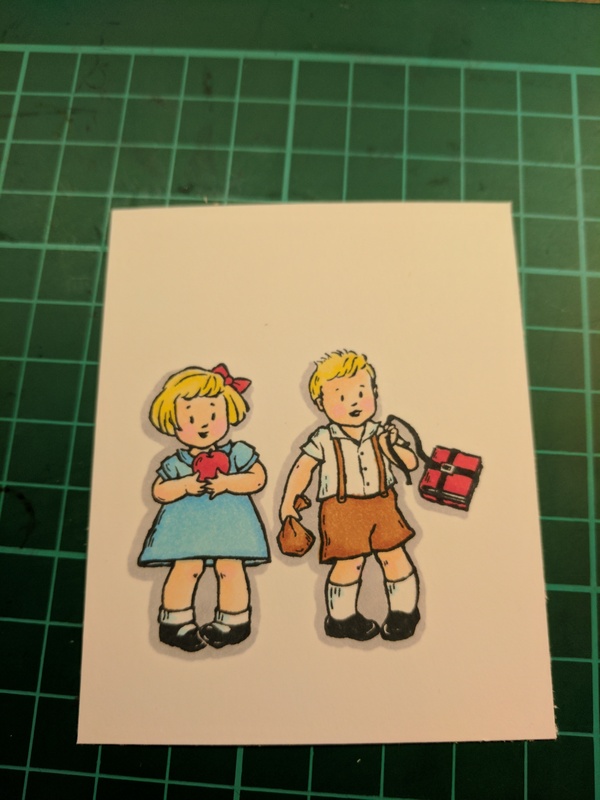 I glued my pieces together and used foam tape for the image of the children. 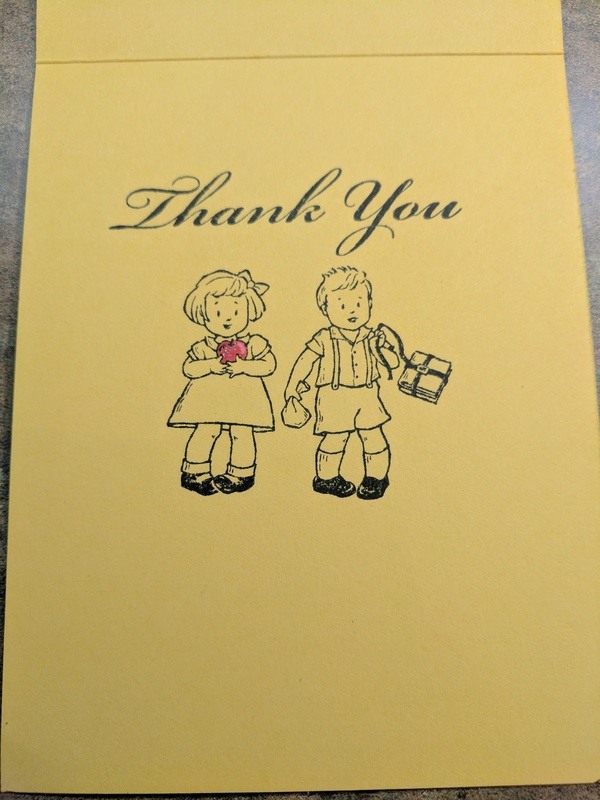 I then embossed the word thank you on a left over piece of card stock the same as the base in clear. I then went to work on the inside stamping the same image but only coloring the apple with red and a bit of Wink of Stella.